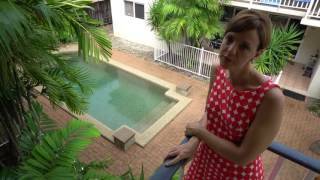 Cairns Sharehouse are a family run business providing premium budget accommodation in Cairns. They offer clean, modern rooms to rent in spacious apartments - fun, friendly,welcoming. They cater for solo travellers, couples and groups. Their guests can enjoy comfortable rooms and top facilities all within an easy walking distance of the city centre. They offer an additional range of services from tour bookings, luggage storage and AUD5 daily meal deals. They are all about getting the mix right and they aim to offer a personalised service where they recommend a property that is going to be 'best fit' their guests needs. They have 29 apartments to choose from ranging in styles and budgets to suit everyone. Their 'shared' apartments are popular with individual travellers, students and couples who can enjoy the privacy of their own room, whilst making lifelong friends from all over the world. 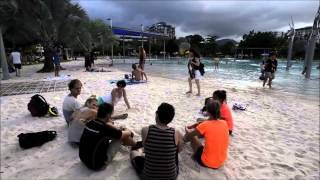 Their 'group' apartments are self contained private apartments perfect for sporting, university, student, construction groups coming to Cairns for a minimum of one week. They offer an incredible service and excellent value for money from your first 'hello' right through until departure and are passionate about what they do! Single room in fully furnished apartment. Each room features study desk, wardrobe, single bed, bedside table, fan. Includes: Bills wi-fi, water, electricity, AUD5 meal daily, discounted tour booking service, luggage storage service. Office open five days per week. Double or Twin room to rent in spacious room in fully furnished apartment. Each room features study desk, wardrobe, double or twin beds (two singles) , bedside table, fan. Includes: Bills (wi-fi, water, electricity), AUD10 meal daily, discounted tour booking service and luggage storage. Office open five days per week. Luxury Share Accommodation in tastefully furnished double bedrooms. Large outdoor dining area with garden spa or pool and barbecue facilities. Fully furnished kitchen, lounge and dining facilities to share with a small number of people. Rates include wireless Internet facilities.